During the gubernatorial campaign ahead of the 2010 statewide election, the Baldwin County-based Homeowners Hurricane Insurance Initiative invited seven candidates to meet with founder Michelle Kurtz and members to discuss what they called “skyrocketing” homeowners insurance rates for Coastal Alabama residents. One of those candidates, Robert Bentley, met Kurtz and HHII members at a coffee shop in Daphne to discuss the issues ahead of his eventual election. At a May 18 news conference at the Five Rivers Delta Resource Center in Spanish Fort, now-Gov. Bentley announced major changes to the way insurance policies are written in Mobile and Baldwin counties, recalling a promise he said he made to address Coastal Alabama insurance premiums during his time in office. Since 2007, HHII has pressed state and local elected officials to act on the problem, which stems from the fact that homeowners in Mobile and Baldwin counties typically pay $500 more per homeowners wind insurance policy annually than their neighbors with similar homes upstate. 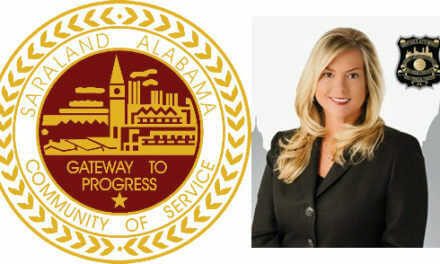 Among the solutions Bentley presented was an agreement between the Alabama Department of Insurance and the Alabama Insurance Underwriters Association that will reduce current actual cash value policy rates by 5 percent in Gulf-front homes and 15 percent in all other zones in Mobile and Baldwin counties. The plan will also reduce current replacement cost value policy rates by 18 percent in Gulf-front zones and by 27 percent in all other zones. The plan will take effect June 1. According to a fact sheet released to media, the “vast majority” of AIUA policyholders — 25,000 out of approximately 30,000 — will benefit from the coverage enhancements. 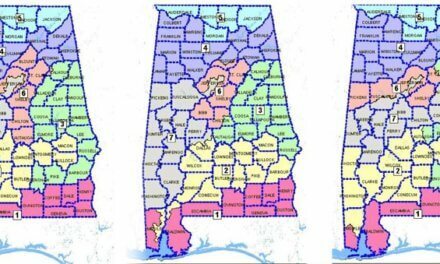 The AIUA’s coverage area extends to Mobile and Baldwin counties up to the 31st parallel. The AIUA was formed in the 1970s as a “last resort” insurer for homeowners unable to find coverage in the private market. Current policyholders pay for depreciated-cost insurance, which means it may not provide a check for full coverage of losses. According to its own marketing materials, the AIUA provides basic, no-frills coverage at rates that are generally higher than the average rates offered in the private market for a policy providing broad coverage options. Under the new plan, AUIA plans will be converted from actual cash value policies into replacement cost value policies, which will automatically include additional living expense coverage and ordinance and law coverage to provide funds to help repair homes damaged by storms in line with current building codes. The AIUA will also offer deductibles of up to 10 percent to each policyholder. Kurtz and HHII’s efforts since 2007 led to last year’s creation of the Coastal Insurance Working Group, a committee tasked by Bentley with finding solutions to the coastal insurance “crisis.” The CIWG released a formal report to the governor in January detailing five ways the group believes the state can move to lower insurance costs for homeowners. The report found that between 2005 and 2015 the average coastal homeowners insurance premium increased by 137 percent. On the other hand, premiums increased by just 36 percent in locations upstate. Legislation was introduced in February that would have used the CIWG report’s findings to convert the AIUA to a nonprofit entity and exempt it from paying insurance premium taxes and other license and privilege taxes. It would have lowered premium costs by authorizing the entity to assess policyholders in the event of excess losses instead of charging high premiums up front based on each year’s hurricane prediction models. The bill failed to pass during the regular session, but Deputy Insurance Commissioner Charles Angell said a non-legislative compromise is better than a legislative mandate. 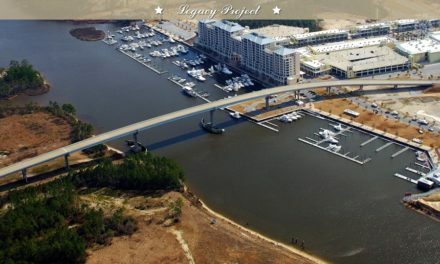 Some coastal insurance agents such as Bob Walsh have compared the CIWG report, and now the governor’s plan, to a government-run cost-sharing scheme akin to the federal Affordable Care Act. This week, Walsh said the AIUA should be a last resort, but the governor’s plan will make coastal homeowners believe otherwise. Bob Groves, the AIUA manager, encouraged homeowners to explore their options when seeking affordable wind insurance coverage. “Hopefully they will be able to find affordable prices with broad coverage in the admitted markets, but if they are not able to do that and they want to come to the AIUA, we welcome them to fill out an application,” Groves said. For Kurtz and HHII, the next step is a series of meetings with organizers and officials from other coastal states in order to discuss expanding the new AIUA model to a “coastal band” of insurance coverage.